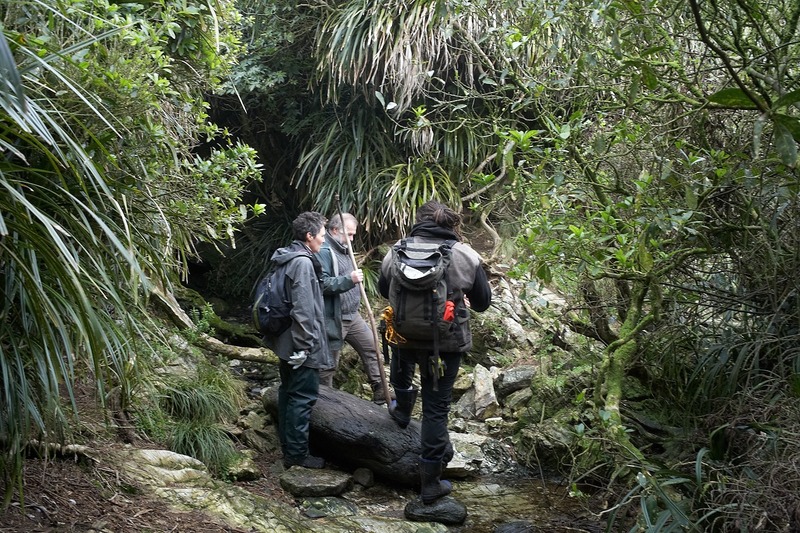 Kāti Mahaki and Te Papa scientists, including Head of Science Susan Waugh, recently teamed up for a trip to one of the jewels in the iwi’s crown – the tiny islands of Taumaka and Popotai (aka the Open Bay Islands) in remote South Westland, near Haast – as part of their research of Fiordland penguins. 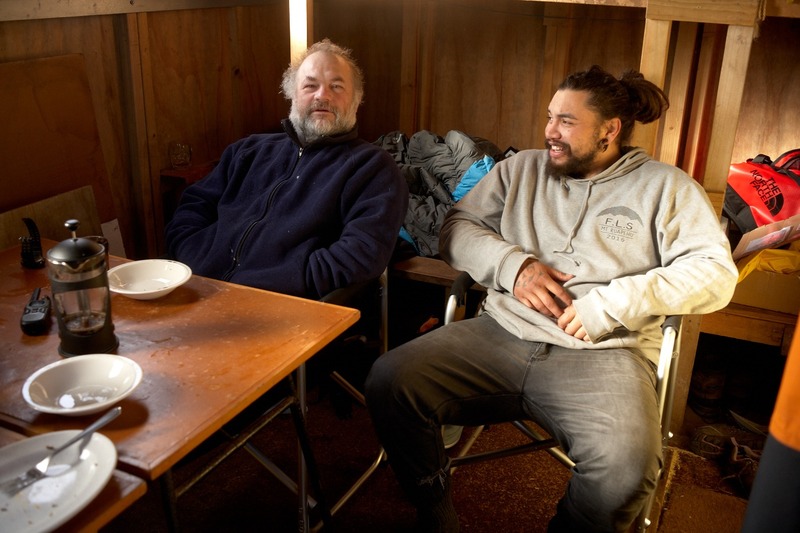 Taumaka and Popotai have an incredibly rich and diverse human history, including Kāti Mahaki ancestors who would make the epic journey to row from the mainland to gather mahinga kai and connect with this whenua over many generations. Combined with the European history which begins with a group of sealers marooned on the islands in the 1800s for several years, along with explorer Charlie Douglas, guided by Ruera Te Naihi (Kāti Mahaki tipuna) who noted that the islands were so crawling with ‘taipō’ (an old regional name for wētā) that you couldn’t sit down to enjoy a smoke of your pipe. For Kāti Mahaki, the islands are of special significance as the home of many, many taonga species, a mahinga kai, and a link to their natural and human history. 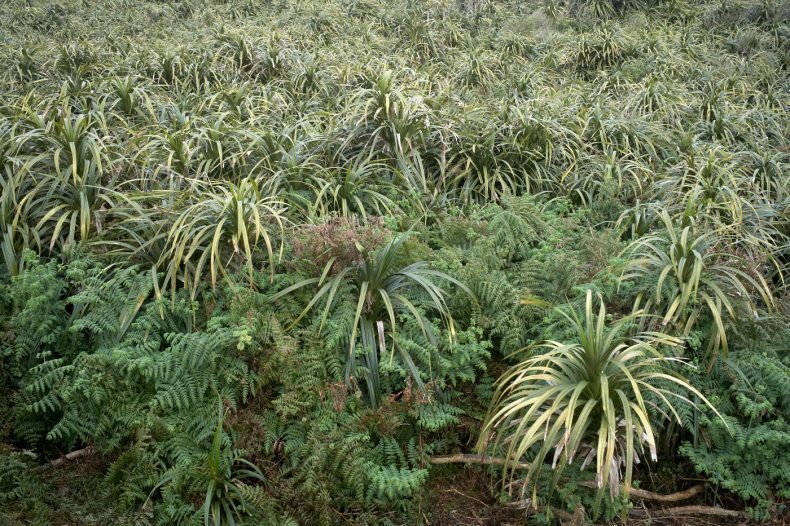 The islands have outstanding appeal as a natural landscape and from there, the view over the Southern Alps is magnificent, and the whole of te Tiritiri-o-te-moana – “the mirage of the ocean” – is laid out before you. 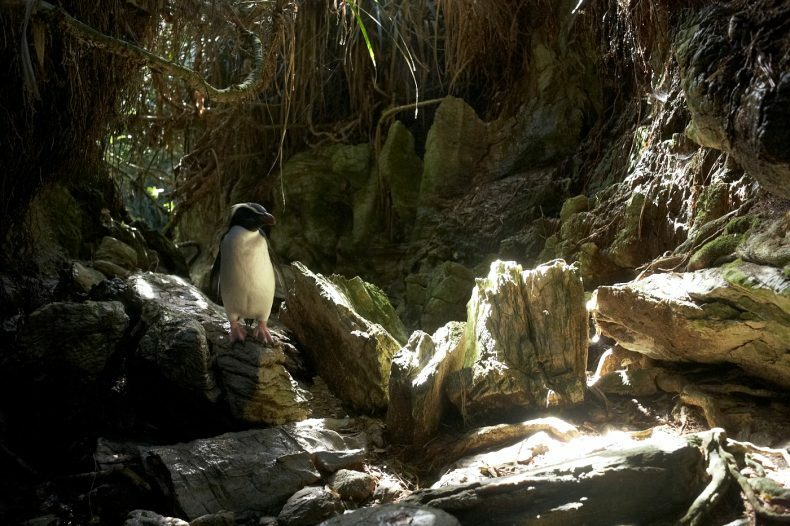 The team’s aim was to retrieve miniature loggers deployed on one of the world’s rarest penguins, the Fiordland Crested Penguin, which has a stronghold at the island. The loggers tracked the birds’ activity at sea and on land, as well as their location over the year since they were deployed, and will give vital information about where the birds go during and after breeding. The approach ensured low-impact on the birds’ nesting activities, and birds were caught away from the nest to retrieve the loggers. While they are a tenacious species, and readily defend their young and eggs, they’re also sensitive to disturbance, and require careful handling to ensure they don’t get stressed. We worked very carefully around the nesting birds to ensure they didn’t leave their nests, and all nests were intact at the end of our study period. In addition to collecting science information about the penguins’ behaviour, we took some time to explore the options for enumerating the penguin population. This site is probably the largest concentration of Fiordland penguins globally, but due to its extremely dense covering of native vegetation, including swaths of the impenetrable kiekie (gigi), it’s impossible to count the birds at their nests. We considered lots of high tech options, such as drones, heat-sensing cameras, counting birds at their passage points from the sea, or tagging individual animals. 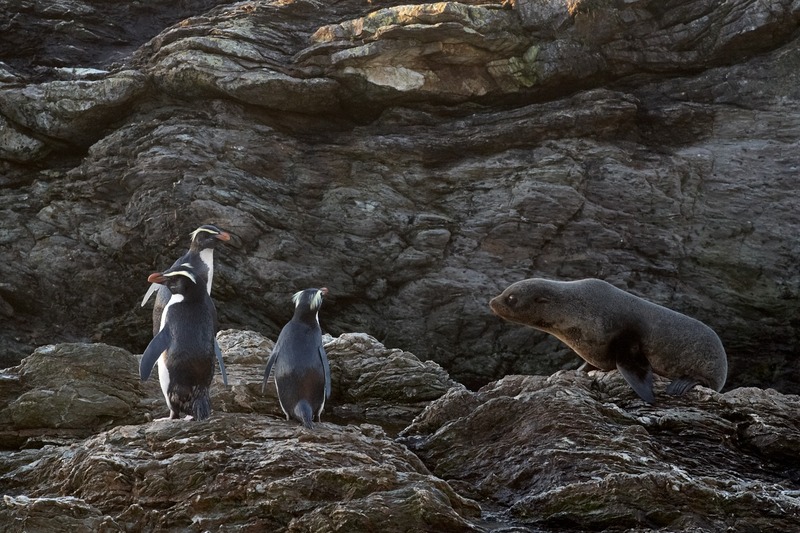 As the birds often use water courses to traverse the densely-vegetated island, these provide a possible focal point to estimate the numbers of penguins at the site. These options and others will be weighed up, with expert input from others working in the field over the next months, to see how to progress the idea of improving the estimate of nesting birds for the site from 120–150 nests produced in 1990 by adventuring biologists Rodney Russ and Ian McLean. 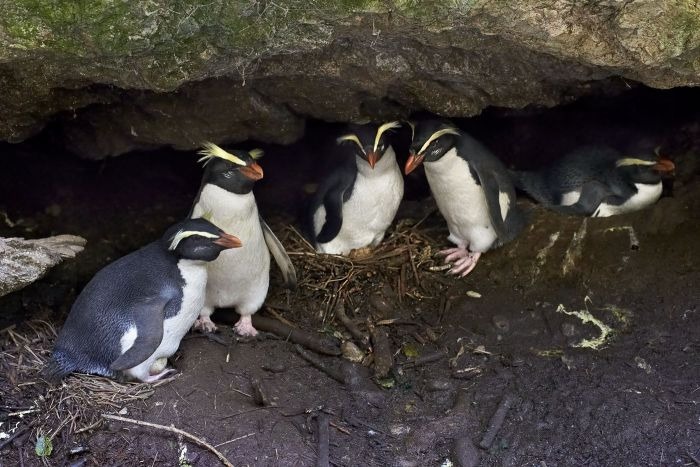 While we accept that the exact numbers of nesting Fiordland penguins at Taumaka may never be known, finding an indicator of trend of the numbers of birds visiting the island may be possible, and a useful indicator of the well-being of the population. This work was funded by Te Papa, with important contributions by the Brian Mason Trust, Deakin University and CNRS, France. We are grateful for all our collaborators’ help and funding contributions to enable this important work to be undertaken.